Order now for delivery on Friday, May 3. Order now for delivery on Thursday, May 2. 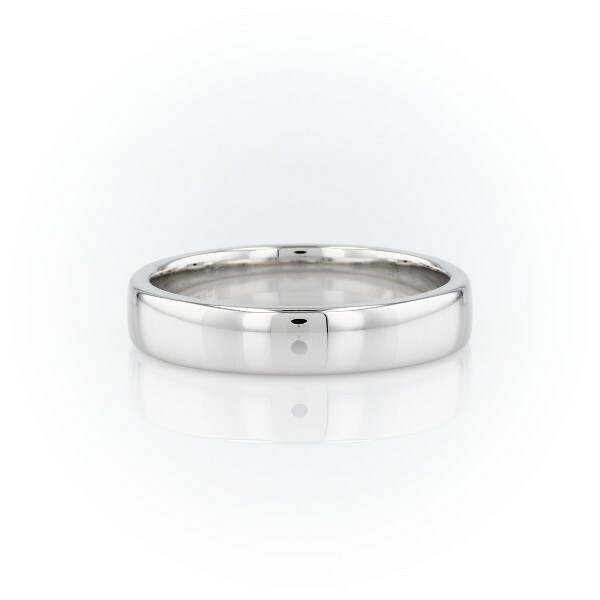 Styled for a modern look, this 14k white gold, low-dome comfort-fit wedding ring has a premium-weight feel. The contemporary low-profile outside and gently curved interior edges make for everyday comfortable wear and the 14k white gold has a high polish, rhodium finish.